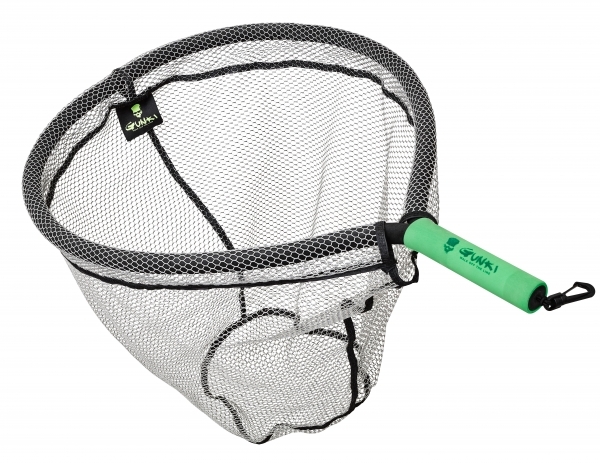 Gunki Floating Landing Net is a totally buoyant landing net with its soft buoyant rim and Gunki branded green grip. The number one choice for those who like to be in or on the water be it wading or afloat on a kayak or a float tube. The Gunki Floating Net is a brilliant large 80cm head with a 60cm drop to the quick dry 5mm rubberised mesh. The total length to a compact 80cm that comes with elastic cord and fixing clip for easy use while on the move.